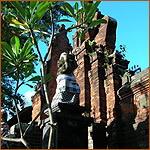 Over the years, Indonesian art has been influenced by many cultures. The famous Javanese and Balinese dances, for example, contain aspects of Hindu culture and mythology. 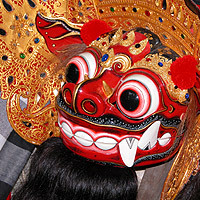 The Javanese and Balinese wayang kulit shadow theatre shows is famous for displaying several mythological events. The batik and ikat cloth, as well as Silat (martial arts) are also trademarks of the rich Indonesian culture. Discover the beauty and fascinating places that make up Indonesia. Learn about a variety of cultural and travel related topics. Travel to Indonesia! The Republic of Indonesia is located in the Malay Archipelago, between the Indian and Pacific Oceans. The country borders Malaysia on the island of Borneo (Indonesian: Kalimantan), Papua New Guinea on the island of New Guinea and East Timor on the island of Timor. 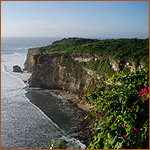 There is no better way than to enjoy the sights and sounds of Bali than on a mountain bike. You not only get to cover areas where motor vehicles will not go, but get a good workout as well. Instead of viewing Mount Batur from where the masses gather at Penelokan, a day trip bike ride would be ideal for the more sporty and adventurous traveler. You get a good close up of the Crater Lake within Mount Batur which makes the ride there highly rewarding. So leave your 4 wheel drive behind, mount your 2 wheeler and head down to Mount Batur.